Mixing equipment offers added efficiencies and pharma-grade hygiene. Mixers and blenders are an integral part of several kinds of food manufacturing operations, and of peripheral importance to others. 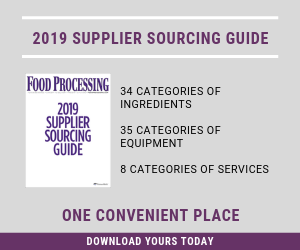 Whether your company is in the business of baking cookies or processing frozen fish sticks, mixing and blending equipment probably needs to be given some consideration. Just as there is a myriad of processes involved in producing the array of products available in the retail supermarket, there are numerous blending and mixing machines offering numerous and differing functions. Traditionally, batch blending has been the most common process used in food manufacture, but continuous blending’s obvious advantages are making it increasingly commonplace, especially in operations with the heaviest reliance on blending. As green initiatives proliferate, equipment that can blend more quickly, more efficiently and with less need for heat application also has become more desirable. While the basic principles of blending have been understood for decades, new technologies have emerged including rotor/stator systems, mixing under vacuum, even mixing by use of nitrogen. Mixing and blending technology also has been asked to adapt to changes in food science, says Chris Ryan, technical author at Silverson Machines Ltd. (www.silverson.com), Chesham, England. “As formulations have become more complex, particularly with the rise of low-fat and fat-free products, the demands on mixing equipment have evolved,” Ryan says. New tasks include dispersion and hydration of functional ingredients designed to replace fat or sugars or other bulk ingredients. “These in particular present challenges to the food processor, since these functional ingredients are difficult to incorporate without forming agglomerates and so-called fish eyes. This leads to reduced functionality and poor yield – an increasing factor due to the ingredients’ high cost and critical effect on the end product,” Ryan notes. Today’s mixers offer more speed and power than older machines, and this is needed in the push for high productivity. “The pressures on the bottom line call for efficiency savings across the board,” Ryan continues. He claims Silverson equipment is efficient and can cut mixing times thanks to the positive mixing/shearing action of the rotor/stator design, which draws materials into the workhead, subjects them to intense high shear then projects them back into the body of the mix. “In a short mixing cycle, the entire batch will pass through the workhead many times, ensuring a consistent, homogeneous product is rapidly achieved,” he notes. More efficient design can result in higher performance over shorter time cycles. This can lead to lower energy consumption, which affects both a company’s profits and its green credentials. Of course control is just as important as power, and today’s mixers offer both. Other key considerations when selecting mixing equipment include clean in place (CIP) capabilities and hygienic design. With more stringent food safety regulations coming on line, these concerns are more important than ever. “These days, the food industry is specifying equipment to the same standards as the pharmaceutical sector,” Ryan says. “It is becoming the norm to meet demands for equipment conforming to the regulatory bodies and standards such as FDA, 3-A, cGMP and, in Europe – and increasingly throughout the world – EHEDG. In-line mixers are by nature more hygienic, have a minimized number of product contact parts and they generally are suitable for cleaning-in-place (CIP). Advances in sanitary construction led to the introduction of mixers suitable for sterilization-in-place (SIP). Langhorn says food manufacturers are always seeking equipment that allows for quick changeover and ease of maintenance. He notes too that top suppliers are involved in installation and invite customers to testing centers where the efficacy of systems in particular applications can be demonstrated before installation.